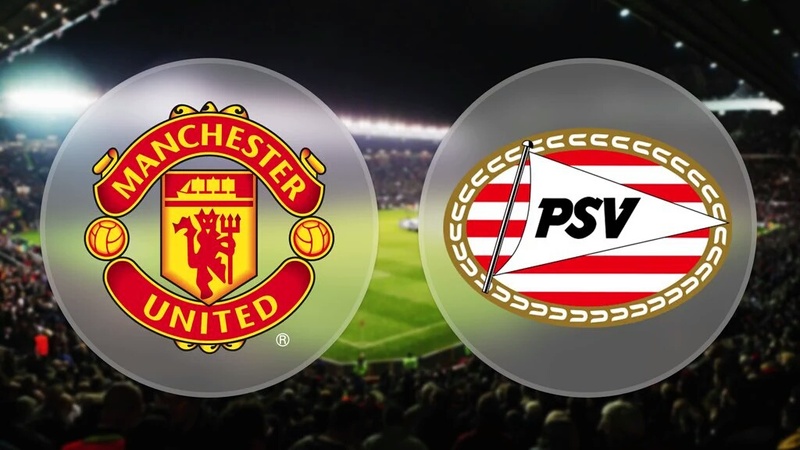 Tonight's game sees Manchester United take part in the Champions league group qualifying round against PSV Eindhoven. 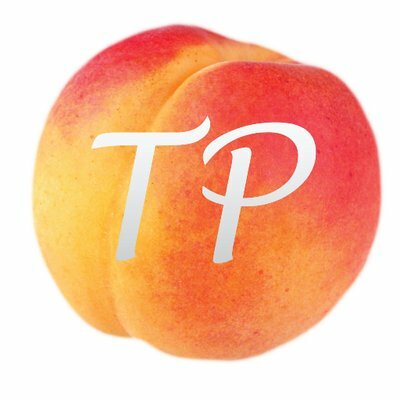 After playing 4 games, United sit top of the table with 7 points whilst their opponents PSV are currently second with 6 points. Group B is definitely the tightest group where only 3 points separate the top and bottom teams. CSKA versus Wolfsburg is the other fixture to be played tonight in Group B so keep an eye out for the scores in that game. 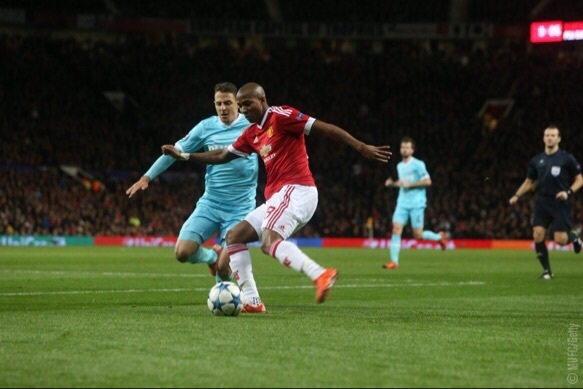 United are in a comfortable position so far but ideally would want to win the group so a win today is required. 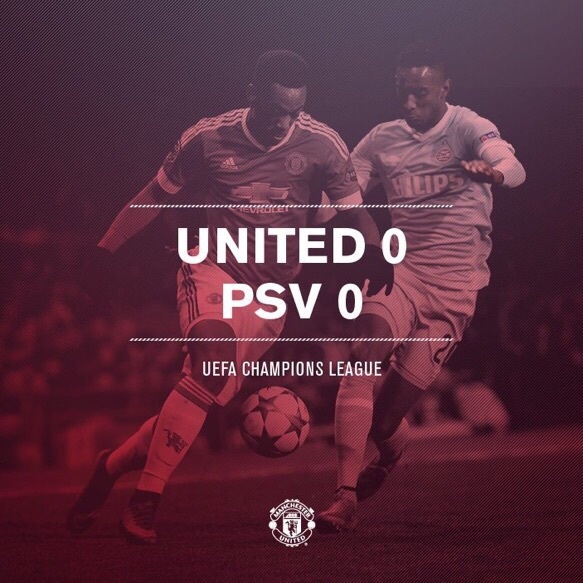 At the very worst, a draw would not be a terrible result but after the reverse fixture of losing 2-1 against PSV, the Red Devils will be looking to bounce back win a solid win. The game was dominated by the horrific injury caused to our left-back Luke Shaw, who is making tremendous progress to get match-fit. Goals from Moreno and Narsingh cancelled out Memphis Depay's opening goal. Hopefully Memphis will be able to reproduce some more quality football. their midfield, Narsingh and Guarado are players who can score goals so they will need to be marked closely. Upfront, De Jong and Locadia are most likely to start, both of whom have already scored in the Champions league this season. Overall, PSV will be fancying their chances for the game tonight and will be optimistic going into it. I am expecting to see a good game of football with some individual battles in certain areas of the field. United on the other hand were impressive on the weekend with a 2-1 victory over Watford. Depay scored in that match after being on the receiving end of some deserved criticism from the manager, LVG and some fans. Memphis has responded brilliantly with a goal on the weekend so I expect that he will retain his place in the starting 11 and hopefully can get some more goals for us. Jesse Lingard has produced some excellent form in the Champions league so a start for him tonight is likely. We will be without Phil Jones and Ander Hererra whilst Anthony Martial and Wayne Rooney are fit to play tonight. Marouane Fellaini has also recovered from his calf injury. Other injury absentees include Valencia and Carrick. In goal, De gea should start. For our defence, I would like to see Rojo at left- back, Smalling and Blind as centre backs and Darmian play as a right-back. In midfield, Schneiderlin and Schwensteiger as CDMs with Mata and Lingard as CAMs. Up front, Martial and Depay should start tonight with Rooney and Fellaini on the bench to be brought on later into the game. In terms of our formation, I would play a 4-2-2-2, with two CDMs in Schwensteiger and Schneiderlin to counter PSV's attacking options. Mata and Lingard as advanced midfielders to offer pace and creativity with Martial and Depay to provide speed and skill. 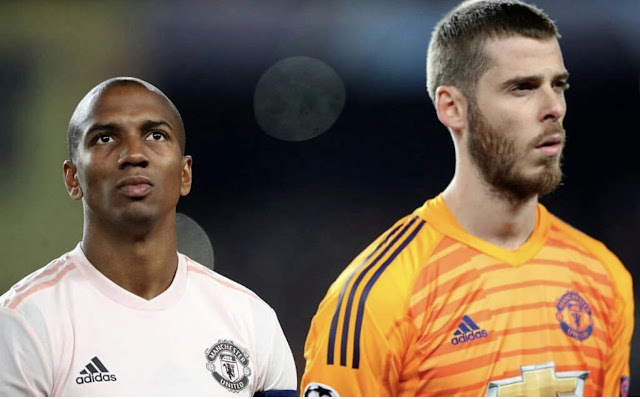 As we expected, David De Gea starts in goal. 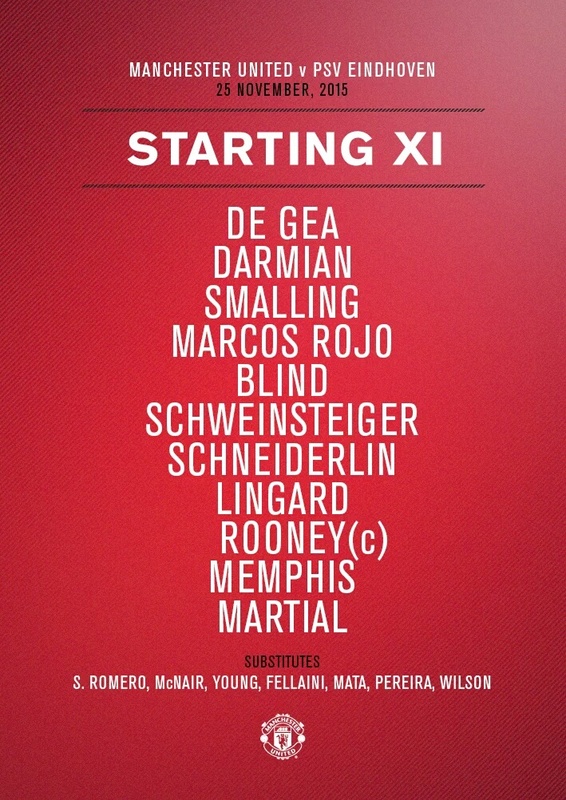 Our back line is looking strong and it looks like Van Gaal is giving Darmian an opportunity to prove himself after being dropped to the bench for a few games. On the left we will have Marcos Rojo hoping to be able to push forwards at every opportunity possible. Onto our midfield, we are starting the Schmidfield once again which has been working well for us in recent matches. There was a slight issue about Bastian Schweinsteiger's fitness, but it would be hard to drop him after he played a vital part in securing three points at the weekend. 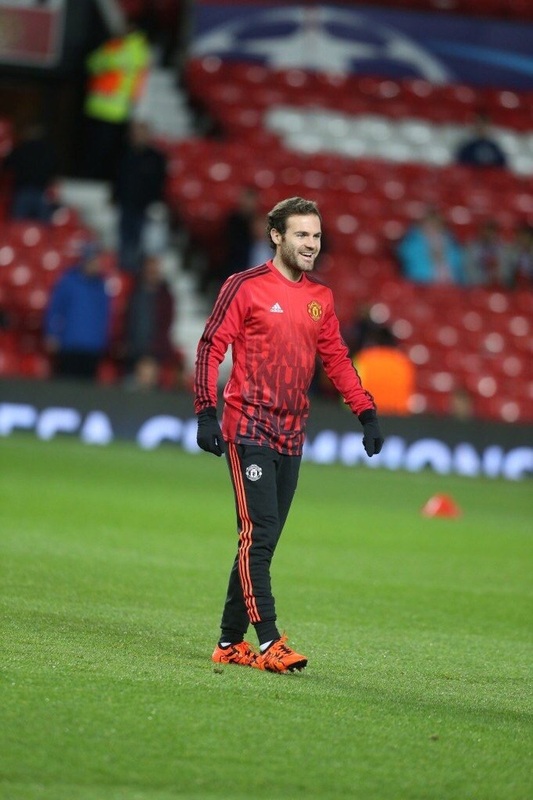 Mata has been dropped to the bench today which isn't a great surprise after his recent dip in form and the fact that he does deserve a break, as he's been playing most games this season. 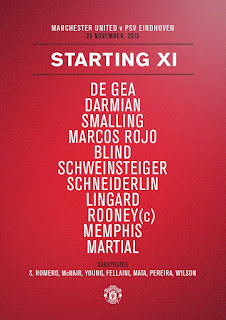 Our four more attacking players consist of Lingard, Rooney, Memphis and Martial. 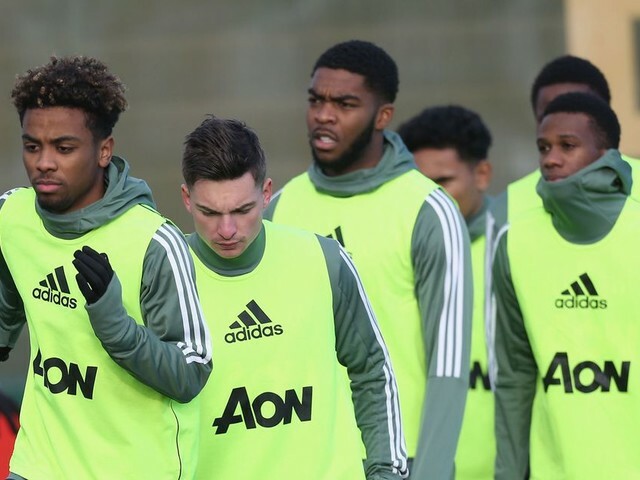 Rooney and Martial are back after missing Saturday's game due to illness for Rooney and a slight injury for the latter. Jesse Lingard has held his place in the starting line-up after another solid performance at the weekend. And then we move onto the star man, Memphis Depay who will face his old club once again. 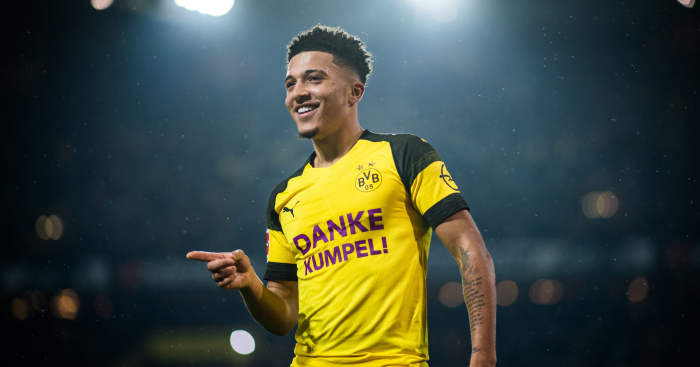 In the last game against them, he managed to score the first goal, but that was not enough as PSV managed to clinch the victory. We will be determined to play our best football today and take all three points! 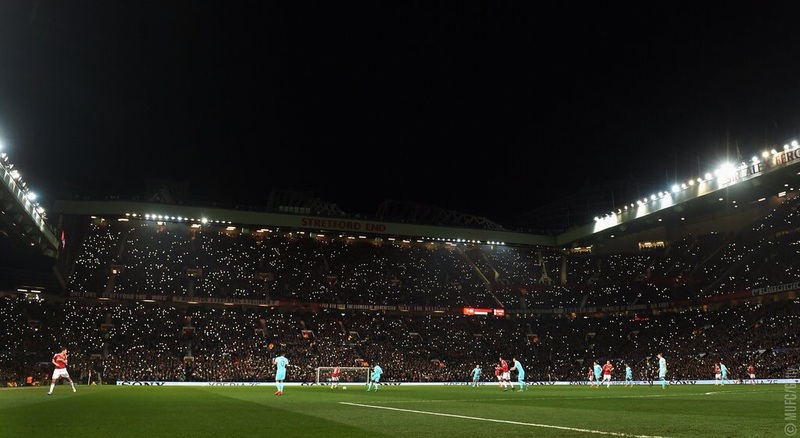 Very emotional stuff here by the fans tonight, a large number of them holding out lit candles to mark the passing of the original number 7; George Best. He is arguably the best player to play for this great club and was once called 'the best player in the world' by Pele himself. 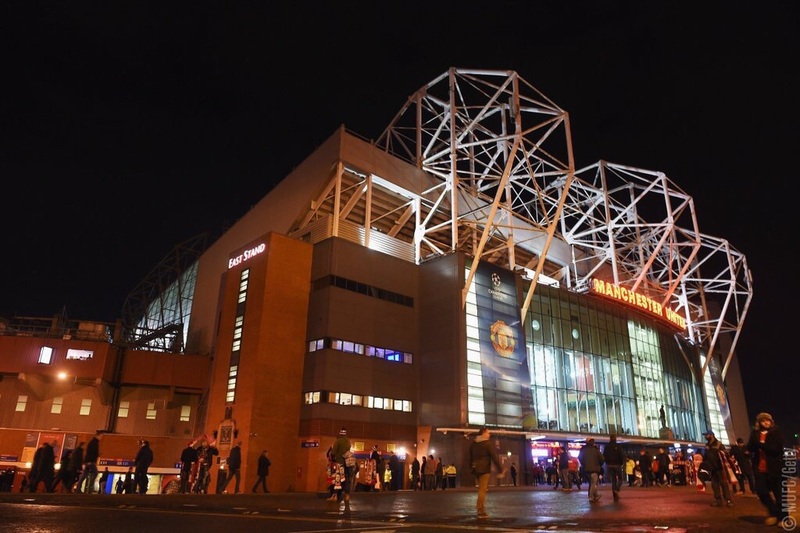 A win here today would be a great way to celebrate the life of George Best. Rest in peace Georgie, you deserve it. The story of our season: dominate possession but don't make much use of it. 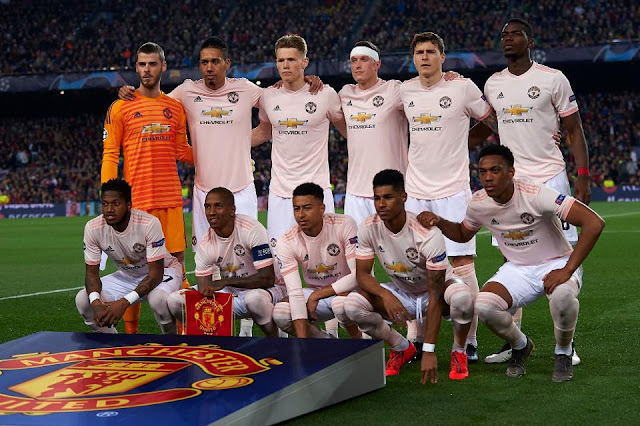 The opening minutes of this champions league tie was something which we Manchester United fans are now accustomed to see. 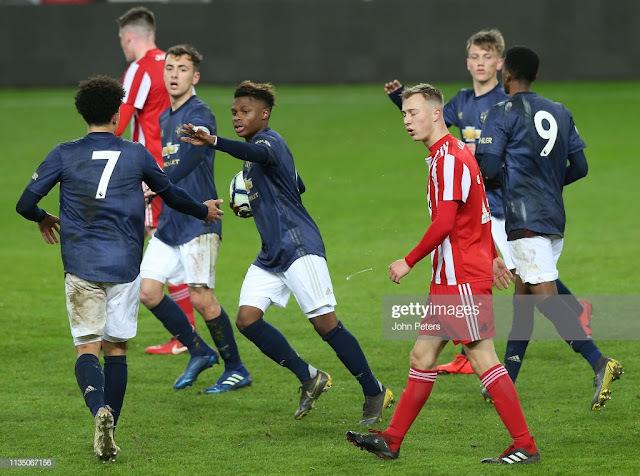 The tempo wasn't there and what was really prominent was the lack of pace in our attack which is surprising when we have quite athletic and young players like Memphis, Martial and Lingard. 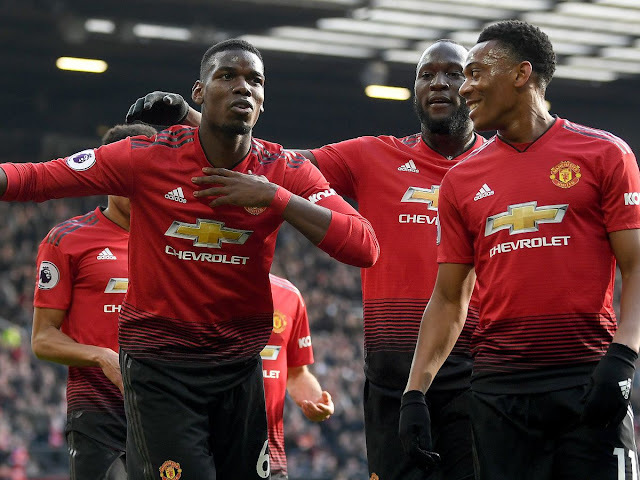 The Manchester United midfield duo saw the majority of the possession, they tried to find the runs however we again witnessed that sideways passing with our front four players. Lingard showed a lot of creativity and vision by making runs to find the long balls from Blind and Darmian. He looked like the player most likely to score at one point! However as the half dragged on the front four grew in confidence and Martial and Lingard started to take more chances and shots. Memphis was criticised by the Holland coach for not playing for the team but individually, however in his absence from the starting XI, he is now showing maturity and is dazzling to watch with his skill set. 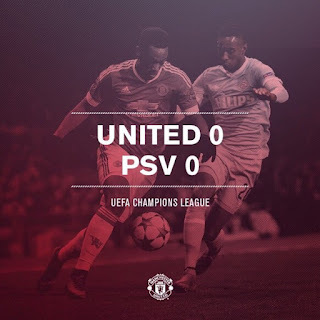 PSV were successful in showing us how to attack with tempo and pace, even though they rarely attacked and the when they did, they did on the counter. Scheneiderlin was supposed to be covering Smalling however he was inconsistent in getting good tackles in. Smalling was brought forward to make a few blocks and get those all important tackles in. 0-0 at this champions league match, even though it's not do or die it would be great to see a win to boost morale. The measure of how good a manager is decided when a team goes into half time at 0-0 and here you can see the effects of the manager. There was no affect to the way Manchester United played! In fact you could see that the team went in reverse from the first half. Instead of keeping the pressure high on PSV, we allowed them to have room and to amass confidence throughout the second half to point where the pivot has shifted and now it is us, the clearly more dominant force in the first half, on the back foot. Martial the Martian. Martial didn't see nearly enough of the ball that you would expect him to get, he was totally isolated up front when Rooney played more deep. Fellaini, substituted on for schweinsteiger foolishly, became the target man with Blind and Rooney putting those over head long balls in to him. Schweinsteiger instills composure and elegance to a usually very erratic and nervous Man Utd midfield. Lingard had the best of the very few chances of the second half however him being 15 yards out lobbed it over the goal cross bar. Very poor finishing! Memphis started positively and got the ball into the box trying to lay off Martial and Rooney. Very strange to see him come off for Young who had a very good first thirty seconds as he put two great crosses in, but honestly after that, what did you else was there? He wasn't defensively sound and had to rely on schneirderlin and Smalling to keep out the danger. Smalling and Blind had an impeccable half, making no errors and endangering the teams defence. Blind has a knack for picking beautiful passes and that is what we saw on display today. 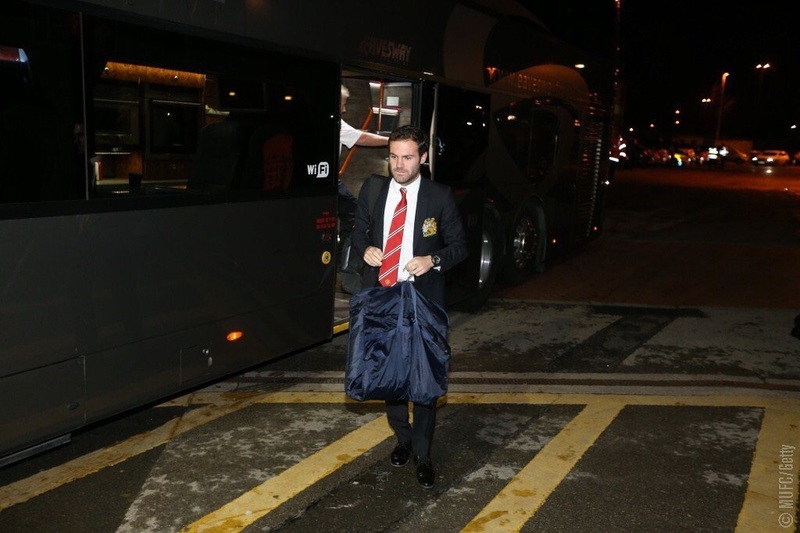 A great shame that Mata didn't start, he hadn't enough time to establish himself to do anything. The flying Spaniard, David De Gea, was called a few times to make some saves but, as you would expect, nothing went passed him. A great re-signing indeed. Even though we didn't lose tonight, this draw will definitely lower the team morale, and this is especially bad since we're going to be playing a particularly dangerous and motivated Leicester who are on top on the weekend. I hope Van Gaal does something to put passion in these lads. Quite a disappointing match overall. What made it worse was the fact that a win tonight would have sealed qualification for United. Everything was in our favour, playing at home with our fans cheering us on. The game really exposed our weaknesses as a team: there was a clear lack of movement and passion. The football that we are playing is slow and boring. Although there were good moments and sparks it overall was a poor game. Going into today's game we were top of the group with 7 points. Now we are second with 8 points and face the prospect of being knocked out if we do not win our final group game against Wolfsburg. In the other group game, Wolfsburg beat CSKA 2-0 to basically make it a 'three-hose race'. A win against Wolfsburg is a must but after tonight's performance it is hard to see that happening. The frustrating part of this is when you watch how we played against Watford: enthusiastic, passionate, confident and then compare it to the game tonight which was lacking in all of those elements. In the first half we dominated possession but came up against our constant struggle this season of actually making use of that possession. Lingard was impressive in the first half as he was trying to impose himself on the game but it was clear that United are missing a 'world-class' player in the team: someone who can command games and take control. The second half did not really improve. PSV started to come into the game more and tried to make things happen. It was quite a disappointing night for Martial who did not seem to make much of an impact although he has just come back from an injury. Our tactic of launching the ball forward to Fellaini was very poor and it is not the type of football that you expect to see played by United. 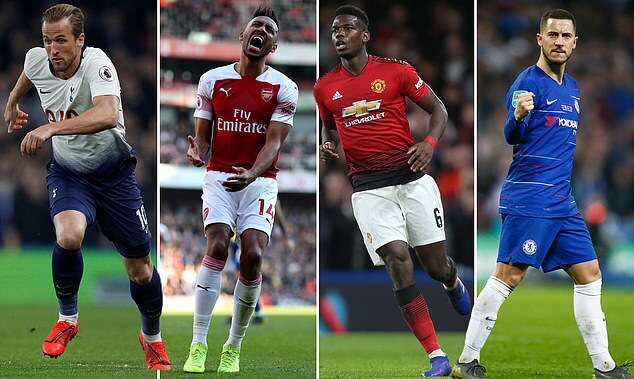 If we are serious about winning the Champions league this season then LVG definitely needs to recruit some new players in the January transfer window. What we are lacking more than anything is real 'game-changers'. Having said all that, it was not a disastrous game in all, at least we managed to get a clean sheet. Let's just hope that we have better fortune when we face Premier league leaders Leicester city on Saturday.